A parents guide on how to care for kids teeth by their age group. Knowing about children’s dental health and growth can be confusing when they seem to grow and change so quickly! We want to guide you through the important stages of dental growth and what to look for all through childhood. When babies are born, they already have their baby under the gums ready to erupt around 6 months of age. From this stage the mouth is constantly changing and we’ve got some tips to keep your kids teeth healthy. The first baby teeth will erupt approximately six months of age but this can be quite variable as some babies have few teeth up to a year. Your child should have their first dental visit before their second birthday. It’s a good idea to use a very soft toothbrush or a washcloth after feeding to help remove plaque from the mouth. Do not use toothpaste until the child is two years old. Tap water in Australia has very low and safe levels of Fluoride that are essential for strengthening and protecting the newly erupted teeth in the mouth. If your child drinks out of a bottle don’t let them fall asleep with it unless it contains only water to prevent baby bottle tooth decay. An increasingly common cause of tooth decay for little ones is a result of what parents put in their babies bottles. Sugary drinks (cordial, soft drink, fruit juice, etc.) will coat the surfaces of teeth and combines with plaque to cause cavities. This can be very destructive to the small and delicate baby teeth. 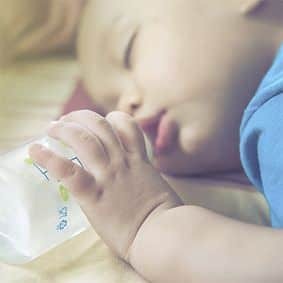 Even if a child falls asleep with a bottle of milk, the milk contains a sugar called lactose which will also cause cavities if left in the mouth. The same damage is done putting sugar, sugar water or honey on the bottle tips or on your child’s dummy. Around 2.5 months of age your child will have a full set of upper and lower baby teeth (20 teeth in total). 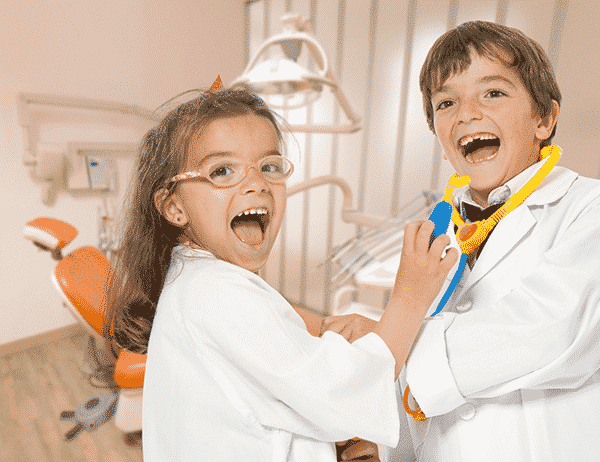 Begin six monthly visits with the dentist not later than 2 and half years of age. Young kids teeth decay easily and the longer intervals are a frequent cause of problems. Begin assisted brushing of your child teeth with ONLY a children’s formulated toothpaste with reduced fluoride. Use a pea sized amount on the brush and make sure your child spits it out after brushing. Starting a good oral hygiene routine with brushing morning and night is important for a child to learn healthy habit. Baby teeth usually begin to fall out around 6 years of age. 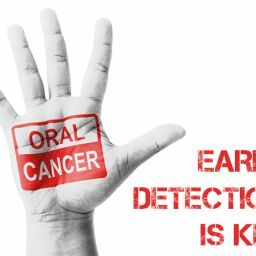 This is variable and will be monitored by your dentist at their 6-monthly dental appointments. Children will learn to brush their teeth with supervision from an adult. They can begin to use a half-pea size amount of an adult’s formulated toothpaste on the brush and make sure your child spits it out after brushing. Once teeth start to touch you should begin flossing your child’s teeth on a daily basis. With the eruption of adult teeth and changes to your child’s jaw growth, it is important for the dentist to assess their bite, crowding and spacing for possible early orthodontic treatment. Children should be supervised and good oral hygiene habits of brushing morning and night with adult’s formulated toothpaste and flossing daily are encouraged. Children playing contact sport should begin wearing a properly fitted custom-made mouthguard. Most children will have the majority of their permanent teeth around 13 years of age. Parents need to keep an eye on their teens that they are brushing twice a day and flossing once. 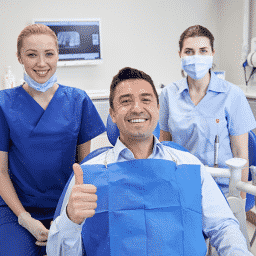 The dentist will assess your child teeth and routine dental x-rays will begin at dental appointment to assess their dental and bone health in the mouth. 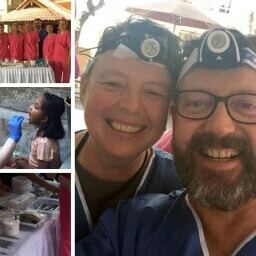 Keep up the six monthly dentist visits! Our dentists and dental hygienists are here to help. If you are need further advice please call us on (03) 6231 3645 to request an appointment.